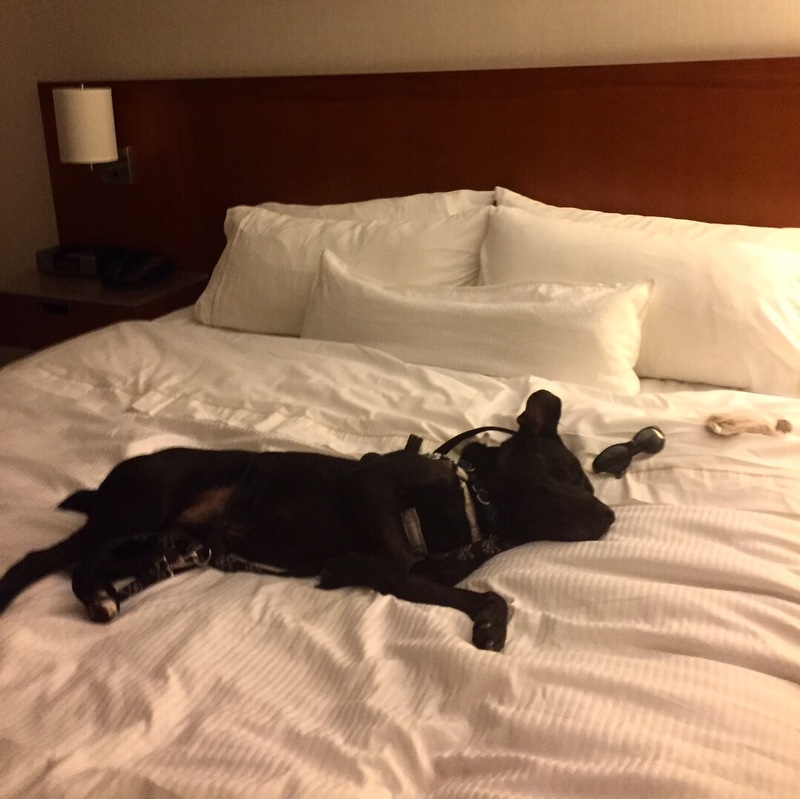 Bear experienced his first hotel stay over the weekend, and he did awesome! 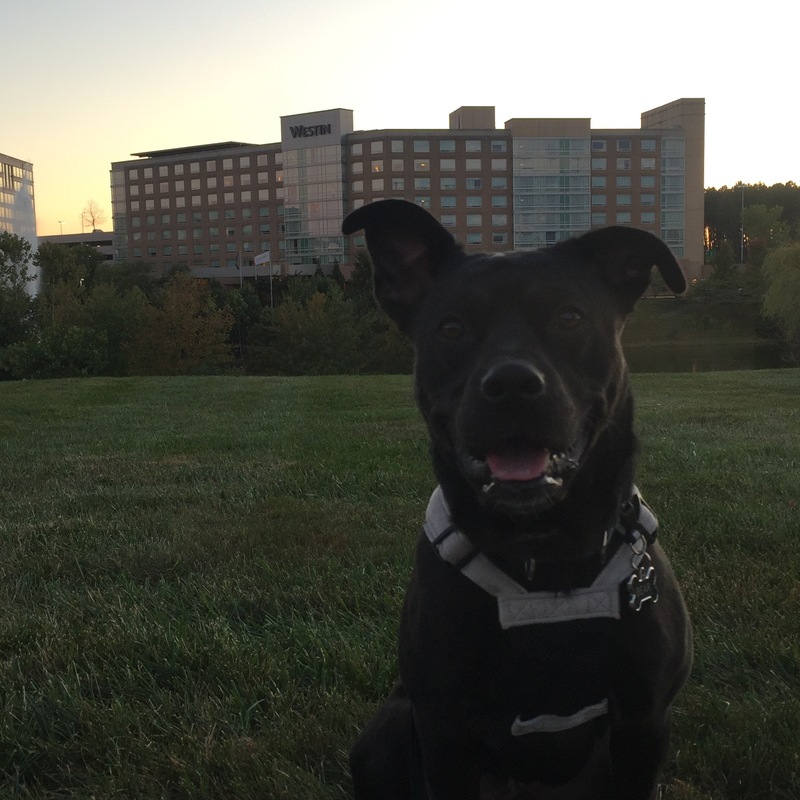 We drove down to Virginia for the Two By Four Race Against Childhood & Canine Cancer just outside of D.C. Because the event was early Sunday morning we stayed over at The Westin near Dulles airport. 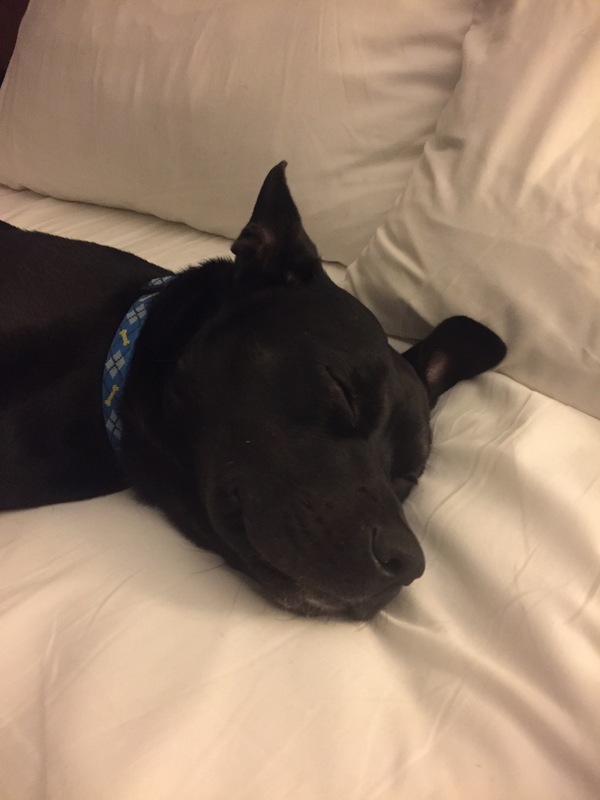 Having taken him to my aunt’s last month and driving back and forth with him regularly between my house and my Dad’s, I wasn’t too worried about the drive, but I was a little nervous about him in the hotel. New sounds, new smells, new experiences like elevators, revolving doors and parking garages, made me a little worried. After all, he’s only been with our family for three months, despite him fitting right in so seamlessly. My plan was to take him hiking at Harper’s Ferry during the day on Saturday to tire him out. That didn’t happen, because of our late start. 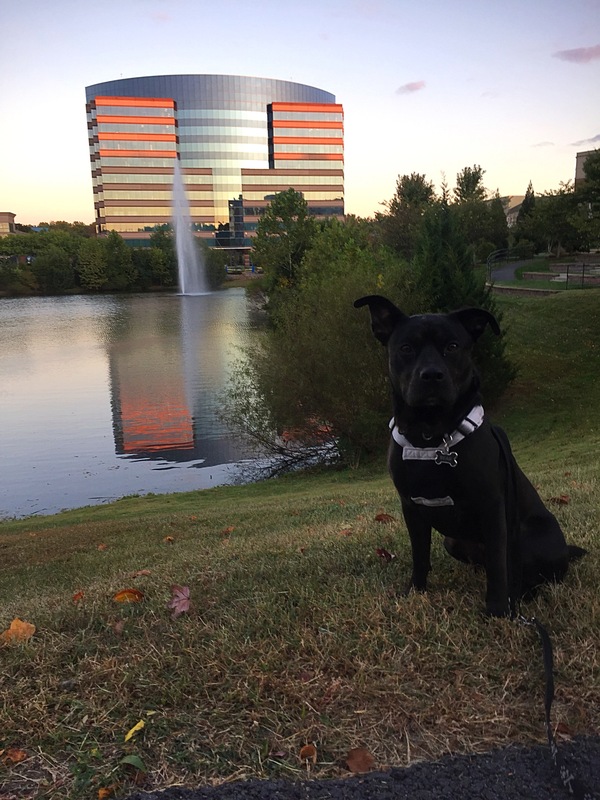 But, as soon as we got to the hotel and checked in, I did take him for a long walk around the area, which he seemed to enjoy. We also stopped at a pet store where he was able to get out and stretch is legs on our way down. That did help to calm him down down a lot. I also brought some of this favorite toys, like his antler, which he absolutely loved chewing on while snuggled on the bed as I ate my dinner. I also never left him alone. This was not the first time to try that. He came with me everywhere – I went to my car, to the front desk, out to get dinner – he was with me. He barked twice, the first time he heard a door slam next to us and in the middle of the night when someone slipped the bill under our door. Both totally justifiable. Parking garage, elevators, revolving doors, front desk – no problems at all. It was like he was pro at hotel stays. Not even the slightest hesitations. In fact, he went toward the revolving door and walked right into it – something I usually hate! Although I brought is crate with me, in the car, because he travels in it for long distances like this, I didn’t need it. He was very secure to just curl up next to me on the bed and sleep, play and eat. For my part, I consciously tried to be calm and make it fun for him. 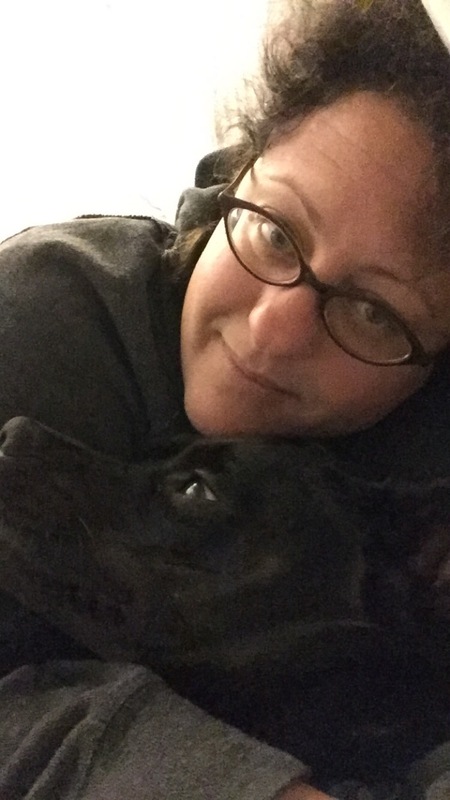 I was cheery and happy, and tried to make the experience positive for Bear. One thing that did help – the room was super clean. 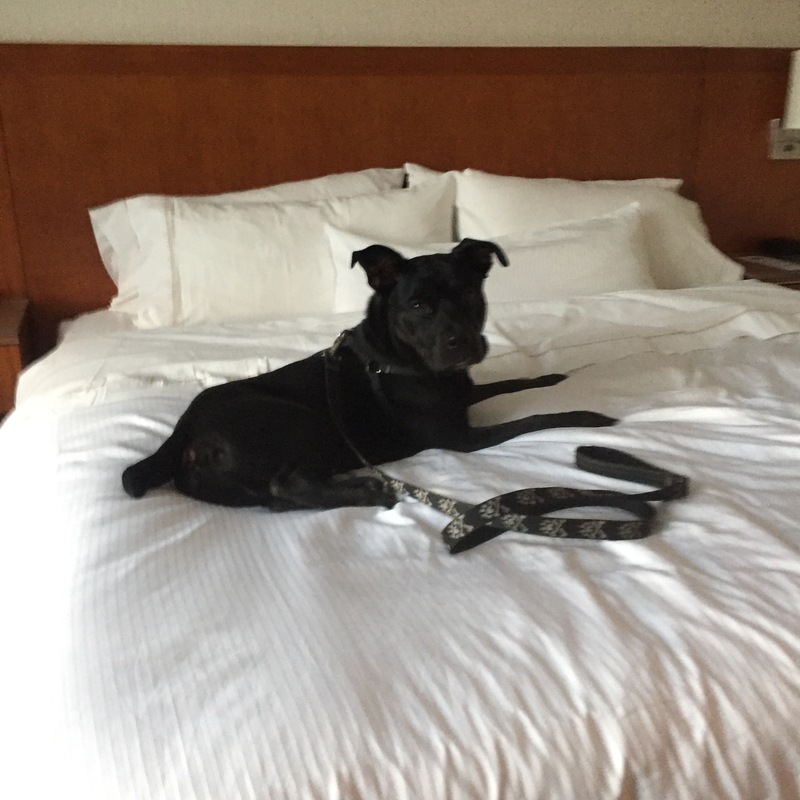 I’ve been in other hotel rooms with pets where I am afraid of them sniffing the floor because of what they may find or smell. 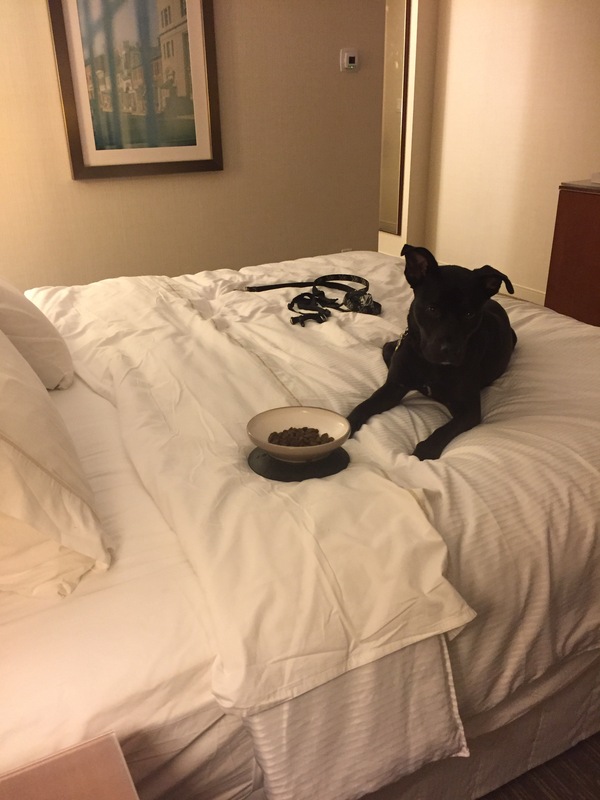 The Westin room was super clean and didn’t have any leftover smells from other pets, which was a big help. They also don’t charge a deposit or fee for the pet, which was even more awesome. Some of the hotels I was looking at charged over $100 for a pet. That was more than my room cost. 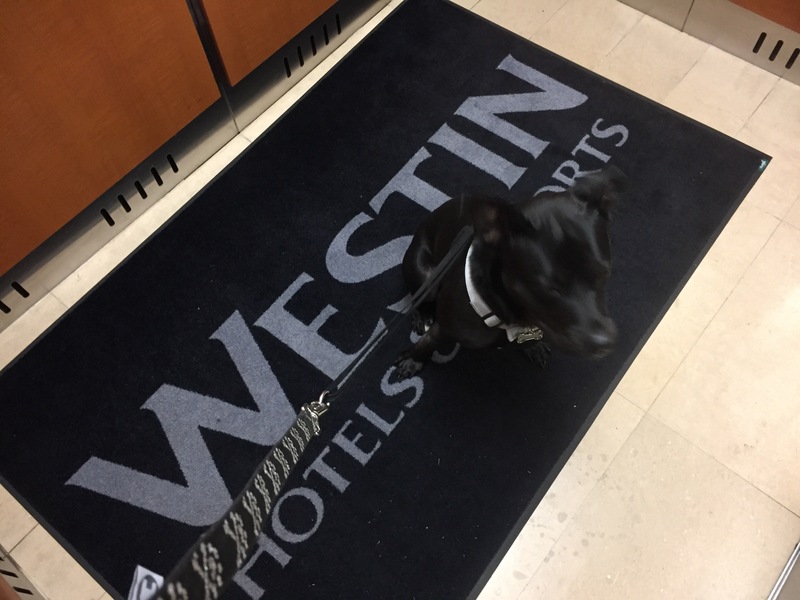 Thank you, Westin for being pet-friendly! We will be back.